In Ephesians 1:15-23, the apostle Paul encourages the church family at Ephesus by telling them that he is praying for them. The things he prays for them can help guide us as we pray for other believers. How often do you take the time to pray for others from your church family? Does your prayer time include praying for believers around the world? 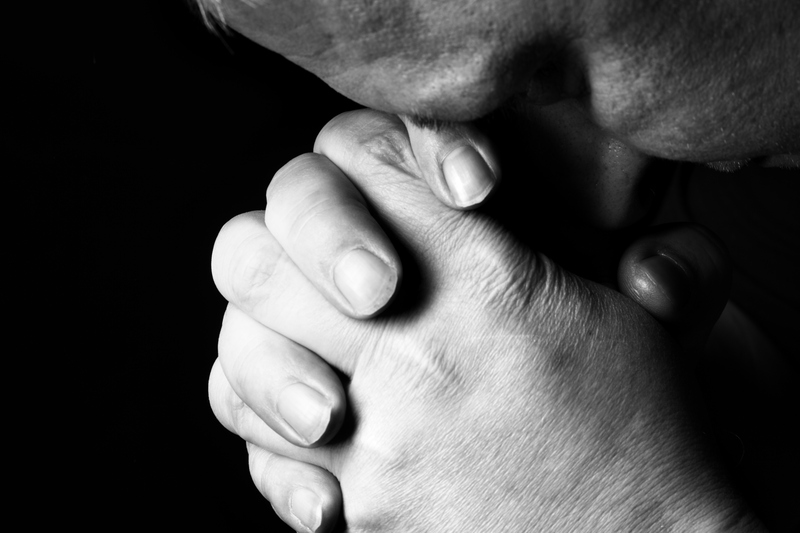 Have you ever prayed specifically for God to bless other churches in your community? Let’s learn from Ephesians chapter 1 about praying for other believers. 15 This is why, since I heard about your faith in the Lord Jesus and your love for all the saints, 16 I never stop giving thanks for you as I remember you in my prayers. 17 ⌊I pray⌋ that the God of our Lord Jesus Christ, the glorious Father, would give you a spirit of wisdom and revelation in the knowledge of Him. 18 ⌊I pray⌋ that the perception of your mind may be enlightened so you may know what is the hope of His calling, what are the glorious riches of His inheritance among the saints, 19 and what is the immeasurable greatness of His power to us who believe, according to the working of His vast strength. 20 He demonstrated this ⌊power⌋ in the Messiah by raising Him from the dead and seating Him at His right hand in the heavens— 21 far above every ruler and authority, power and dominion, and every title given, not only in this age but also in the one to come.22 And He put everything under His feet and appointed Him as head over everything for the church, 23 which is His body, the fullness of the One who fills all things in every way. Read verses 15 and 16 again. Then take some time to thank God in prayer for the believers you know – locally, nationally, and globally. They have been a blessing to you, and to the larger body of Christ. Give thanks to God for their faith, for their friendship, for their desire to spread the gospel, for their perseverance, and whatever God brings to mind. Read verse 17. As you pray for other believers, pray that God will reveal Himself to them through the Bible, through prayer, through circumstances, and through other Christians. Pray that as God reveals Himself to them, they will know Him better, love Him more, follow Him more closely. In the Bible, when the word “hope” is used in connection to our dependence on Christ, it does not mean what we mean when we say, “I hope so.” In the Bible, the word “hope” means “you can count on it.” So our hope of salvation, of eternal life in heaven with the Lord forever, is solid hope, dependable hope, confident hope. He is with us now, and we will be with Him forever in eternity. In Christ, we have spiritual blessings being measure. And we have the fruit of the Spirit being produced in our life. And you have a Savior and Lord who will never leave you or forsake you. Even our Christian brothers and sisters around the world who have nothing in terms of worldly possessions have riches beyond measure because they have Christ! The word translated “power” is the Greek word dunamis. From this word, we get our English word “dynamite.” So the power we have in us because of Christ is explosive in power. Read verses 19-21 to see what two events in the life of Jesus describe God’s power at work in His life. These two historical events recorded in the Scriptures assure us that God has given us enough power to life faithfully for Christ every moment of every day! What a great thing to remember, that Jesus is the head of the church. A church may be led by wonderful pastors, elders and other leaders, but ultimately Jesus is the head. He directs us all. When we remember that, we all will continually look to Him for guidance and direction. The word in verse 23 that is translated “fills” means “to be completely stuffed, crammed into every crevice.” Just like the circus clowns jumping out of a tiny car. Just like spray insulation that is sprayed into the spaces of your home. Even more than that, Jesus fills you with everything you need! Take a few minutes, and read back over the passage above. Write down the names of a few people you would like to pray for. Use this Bible study as a guide to pray for them today. One of the pastors of Hebron Church, Rando Acres, joined me to teach Ephesians 1:15-23 at the chapel Bible study. He gave everyone a sheet with “10 Questions to Ask of a Bible Passage,” to help you really understand that passage. I will post those 10Q’s on the next blog so that you can have them for easy reference. I keep a prayer journal. It started out with a few names. Now there are many names for whom I specifically pray daily. I have learned that only God can respond to their needs as there are so many. It is a privilege to offer intercessary prayer. Sunday night….What a timely reminder to pray for others. One of our members printed your blog and made copies for all our prayer sisters who met Tues night for prayer at Magnoila Village. I plan to share Rando study guide with the Ladies Bible Study that meets on Tues. mornings. Thanks guys. Thanking or Father God for both of you!